A piece of stinking news has emerged on the last day of Gamescom 2018. 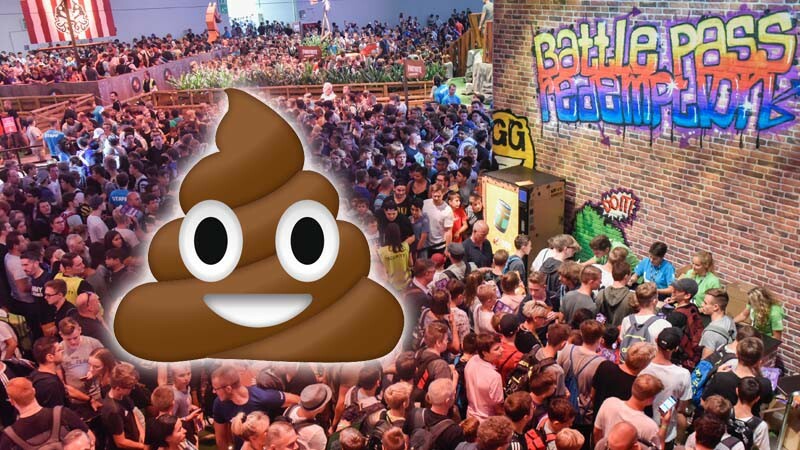 According to a report by German outlet Play Nation, an unknown visitor waiting in line to play Fortnite at Gamescom literally pooped in a paper bag. Instead of taking the paper bag and throwing it away, the suspect left the paper bag on the floor. As the line was so packed, people started to unknowingly step on the paper bag and the poop begun to spread through Hall 8. It stunk up the entire hall to the point a young boy vomited. As the hall started stinking, people complained about it to staff at the Fortnite booth. Service staff working at Gamescom were apparently so disgusted that they refused to clean up the mess, so in the end a representative from Epic Games or Kölln Messe had to clean it up. If you were wondering why people were waiting in line to play Fortnite, Epic Games was giving away an exclusive spray that is currently on eBay for a lot of money.